Around the Office - June 2016 | Rocco & Associates Wealth Management, Inc.
Sam joined the Rocco & Associates team for the summer of 2016 as our new Business Development Intern. Sam is currently a rising senior at the University of Connecticut in Storrs where he is pursuing a Bachelor of Science degree in Applied Economics with a focus in Business Management and Marketing. He is actively involved in on campus activities, serving as the Treasurer of the Resource Economics Club and a member of the Economics Society. Sam has been a long time resident of Fairfield where he ran outdoor track at Fairfield Ludlowe High School. After completion of his undergraduate studies, Sam plans on obtaining a master’s degree in business and further pursuing his education internationally. Please join us in welcoming Sam! 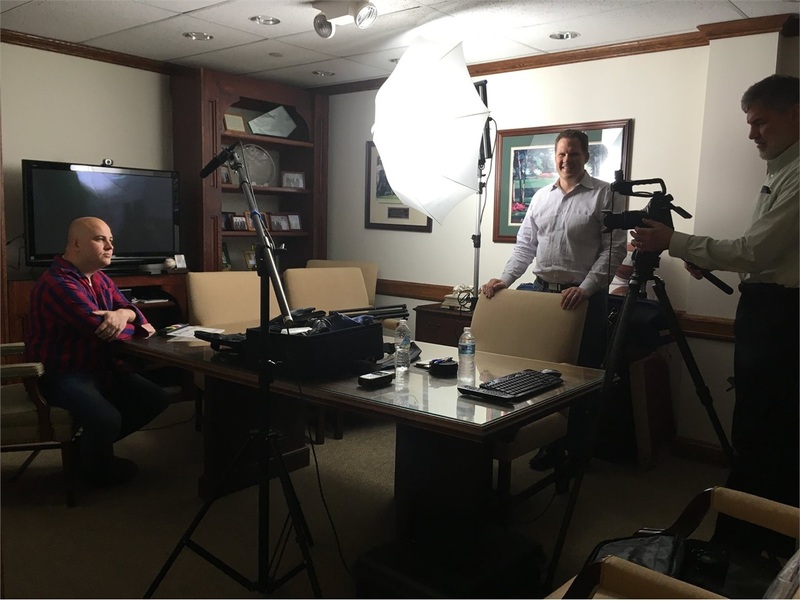 We recently secured the services of a film production crew to shoot a promotional video that will be used across several of our media platforms. This video will highlight the deep history of our firm within Fairfield and beyond, where its roots began with founder Joe Rocco, our current path and what the future will hold for Rocco & Associates. The office turned into a real life set for a day, complete with boom mics, light modifiers, cameras and reflectors. The whole team had a great time putting this all together and are super excited to share with all of our current and prospective clients. The video should be out of editing by the end of the month so stay tuned on our social media outlets for a first look! As our firm continues to grow, the amount of compelling content that the team creates has significantly increased. Whether it’s the Around the Office piece, our Market Outlook, social media posts, new marketing collateral or other various economic updates, the response from our readers has been very positive. 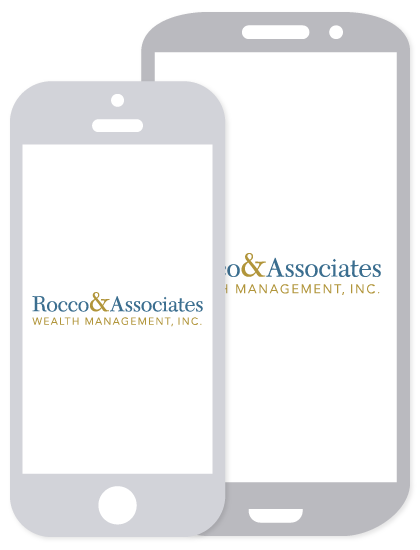 Because of these factors, we have decided to add yet another opportunity for folks to learn more about the importance of financial planning, and all that the team at Rocco & Associates does to provide empowering financial guidance. Starting this month, our own Charlie Rocco will answer our client’s most asked financial planning questions on a bi-monthly basis, in our new segment “Q&A with R&A.” We will also be working with other local media outlets to increase the reach of these communications. If you have a publication/newsletter at you place of business, church or social club and would like to use this content, don’t hesitate to reach out. In addition, if you have a question that you would like Charlie to write about email it to [email protected]. 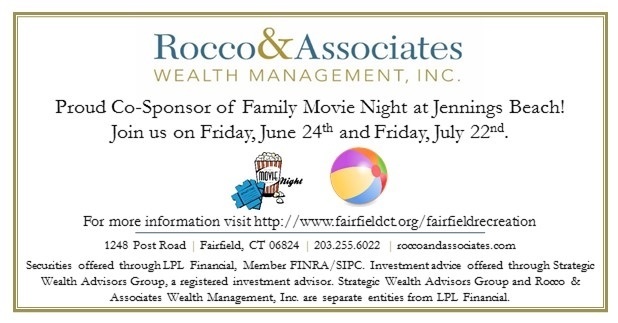 As a reminder, Rocco & Associates will be sponsoring two family movie nights this summer at Fairfield’s Jennings Beach. The first of these will be held this month on June 24th. The party gets going at 6:30 P.M. with dancing on the beach for the whole family. The movie will begin at dark, usually between 8:30-8:45. So pack the family up, grab your favorite beach chair, snacks and come on down! The specific movies that will be shown will be posted to the town’s website as the date draws nearer (www.fairfieldrecreation.com). In the event that you are not a resident of Fairfield but would still like to attend, a $20.00 per car fee will be assessed at the gate. Hope to see you all there!